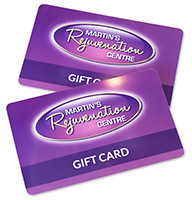 Dr. Martin has been the director of Martin’s Rejuvenation Centre for over 15 years. Over that time, she has gathered an elite, professional injection staff comprised of physicians and nurses who are leaders and educators in the field of aesthetic medicine. Each of them embodies Dr. Martin’s high standard of advanced training, experience, artistry and kindness that is critical to our clients’ comfort and success! In addition to providing our own clients with the best care, Dr. Martin and her team are also known around the world for their Training Facility. Doctors and other clinicians travel to Barrie routinely to learn the Martin Method from Dr. Martin and her team.